Join Grace and her family on their adventurous and sometimes funny expedition. 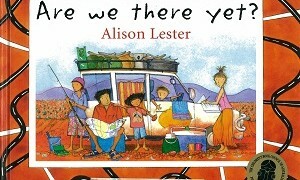 A warm, heartfelt story based on an actual journey undertaken by the much-loved, award-winning author and illustrator, Alison Lester. Awards Shortlisted in 2004 Nielsen BookData Booksellers Choice Awards (Prize for Writing for Young Adults) Winner in 2005 CBC Book of the Year (Picture … Continue reading Are We There Yet?